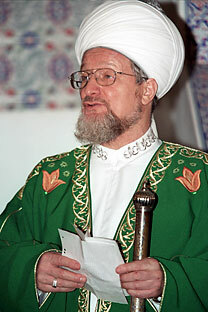 Talgat Tadjutdin, the Supreme Mufti of Spiritual Directorate of Russia’s Muslims. Controversial Muslim figure suggests amendments to Russian heraldry. The Mufti’s idea created a small sensation in Russian media and the blogosphere, but the reaction was hardly supportive. Official statements that appeared on April 15, also said that the change was neither wanted nor feasible.